Do you dream big? 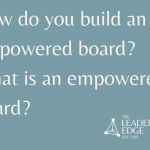 Do you aspire to enrich or advance your career, or perhaps to become a leader in your organization? You aren’t alone. 98.4% of women want to be promoted according to the Women in Technology International Survey conducted in 2016. After developing women leaders in the life sciences over the past 28 years, we’ve learned a few things that can help you to not only dream big dreams but to make them your reality. 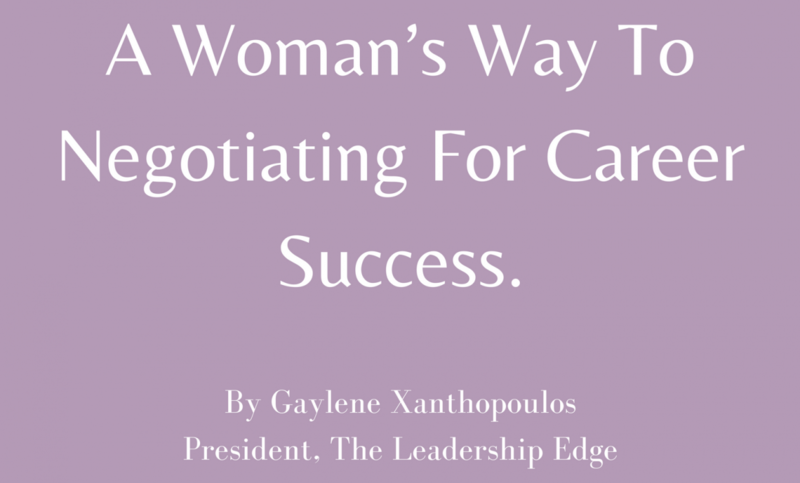 One of the greatest lessons learned is the success in your career progression requires self-advocacy and effective negotiations. So let’s get started. Clarity is power when negotiating. Be clear on your vision. What does the next step in your career look like? What are your responsibilities, roles, and interactions like? What kind of visibility, title, and opportunities will you have? Know who you are and where you are in your career. What are your gifts, talents and true strengths? How can they be leveraged for greater business success? What does it take to be successful in your desired role? Talk to the people who are currently in the role. Talk to others who would interact with you. 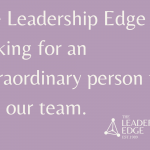 Gain an understanding of the skills and leadership competencies it will take to be successful in this role. Along the way, you will develop mentors and great internal champions. Build confidence. Find and then surround yourself with people who support you and your career. Take risks. Get outside of your comfort zone. Take on an additional assignment. Speak up in a meeting. Interview an executive. Ask for feedback. Take it, listen and grow from it. Be an elephant; big ears, little mouth. Hire an executive coach. They are truth tellers who can help you to chart a successful path forward while navigating through the politics, stereotypes, culture, and opportunities. Be highly competent and confident. It’s not just about what you do but how you do it. The “how” holds more people back in their careers than the “what”. Gain visibility. Sit at the head of the table. Don’t sit back and wait for things to happen. Make your expectations clear and ambitions known. Know your audience and make sure it’s the right audience. Can this person say yes or influence the outcome? What matters to them? What challenges and opportunities are presented today? How do you fit? Think business not emotions. How will this positively impact the company? What is the effect on pace, milestones, partnering relationships, quality, the regulatory process, culture, etc. Avoid the emotional argument. Use facts and data. Be open to possibilities. There may be opportunities you never thought of. Change perspectives. Come from the outside looking in. It’s amazing what you will see. It’s ok to hear “no”. If you don’t ask, you won’t get. Understand what it will take to get a yes. The opportunities are there for you. Get clear on what you want. Take risks. Position yourself from strength by surrounding yourself with supporters, increasing visibility and being great at “what” and “how” you do your job. Get in front of the right audience and negotiate a business case that is impossible to say no to. Most importantly, have the courage and confidence to dream and then negotiate your way to the success you have earned. We can’t wait to see you succeed!